The Bible is all well and good, full of great stories of history and adventure, as well as important lessons about how to be excellent to each other. It’s also the holy text of billions, accepted as the word of God delivered from on high via human scribes and writers. However, it’s kind of an old book and not the hippest book out there. Which is to say, it doesn’t contain a single mention of basketball. A little kid set out to change that. 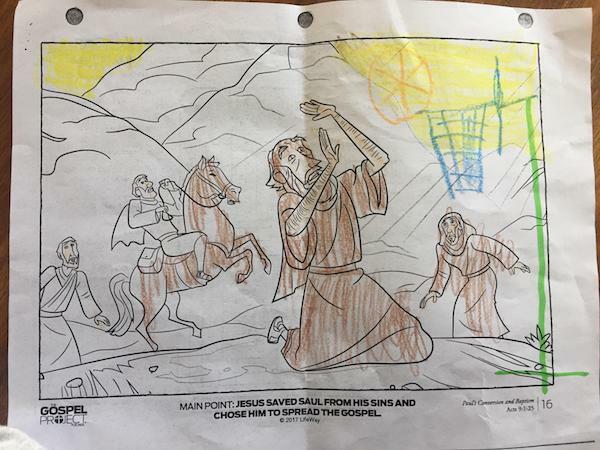 A Redditor named lostinnarnia got onto the r/funny subreddit this week with a photo of a church school assignment her boss’ kid had to do. 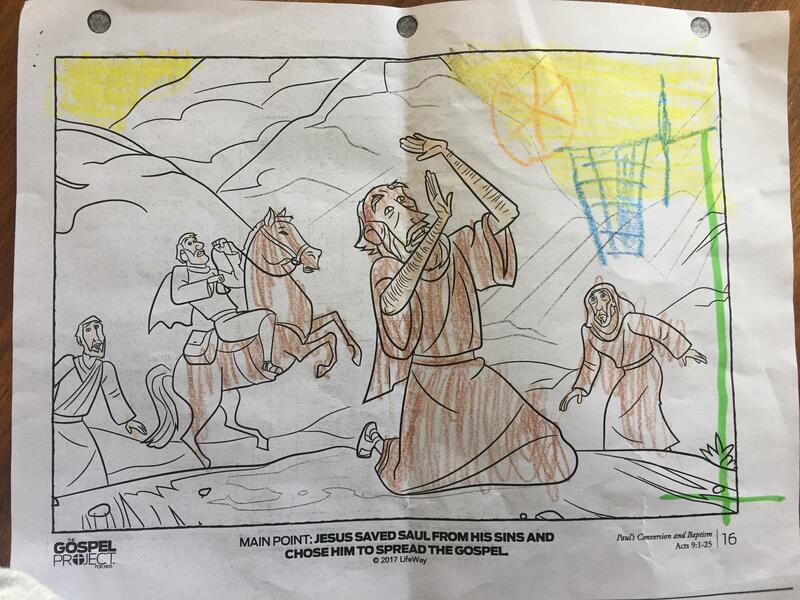 The little angel colored in some stuff, fine, but then also made it look like Saul, kneeling at the wonder of the Lord was actually taking a jump shot on the basketball hoop he helpfully added in.